The list includes Afghan President Ashraf Ghani, Chief of Staff Abdul Salam Rahimi and former Afghan intelligence chief, including election leader Amrullah Saleh. Afghanistan publishes a list of Taliban-friendly delegates in Doha this week, which includes several government officials. According to the AFP news agency, a list of 250 people published in the presidential palace, Afghan President Ashraf Ghani, Chief of Staff Abdul Salam Rahimi and former election chief, including election leader Amrullah Saleh, in the election. The list also includes Afghan tribal elders, youth leaders and 52 women. The Taliban’s meeting before the Afghan Taliban secretly happened in Pakistan in 2015, which immediately ended with the release of the Afghan Taliban leader Mullah Omar’s death. After the 18-year American intervention, Washington’s long-term emphasis on the 3-day talks in Qatar will be held on Friday. There is a huge difference between the Kabul government and the Taliban, because the Taliban think Ashraf Ghani and his government as America’s puppet from which he has been refusing to speak long. He emphasized that the attendance of any government officer in this week’s negotiations will be in ‘personal status’. US, has repeatedly talked to the Taliban in Doha since September, so far that it will not be a part of this dialogue. The final list of people headed by the Taliban in Doha has not yet been announced. 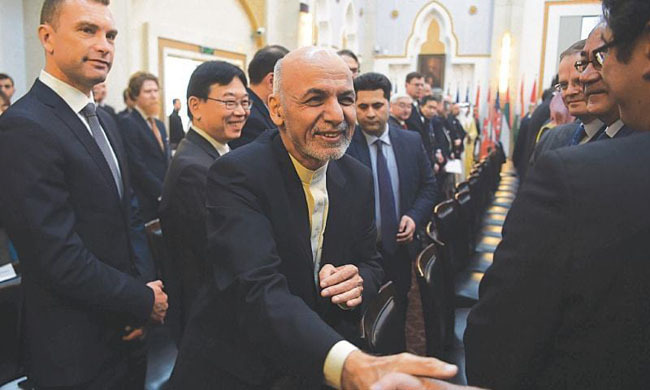 The Taliban met Afghan representatives in February in Moscow this month; this year however, it did not include any of the Ashraf Ghani’s government. Former President Hamid Karzai’s spokesman, who was present in Moscow talks, said Hamid Karzai has supported the Inter Afghan Conference in Doha, but he will not attend it. The United Nations had said that they have removed the ban from 11 people of the Taliban delegation so that they can become part of the talks. The list includes Taliban leader co-founder and senior leader of the Taliban leader Mullah Abdul Ghani Baradar, and former Deputy Foreign Minister for Foreign Affairs Sher Mohammad Abbas Stanikzai.